Religion plays a huge role in shaping a person. For every religion, some rules must follow and some prayers that must recite to get closer to the supreme power. Similarly, in Islam, there are three ways to get closer to Allah and Daily Duas In English is the most important one. In the terminology of Islam, the word ‘Dua’ literally translates to an invocation. And it derives from another Arabic word which means to summon or call out to God. This is a profound act of worship for every Muslim. However, not all Muslim children are lucky enough to learn these at an early age. And thus face some difficulty in memorizing them. The Daily Duas In English course for such people who wish to understand. As well as learn the Duas that must be recited daily by a healthy Muslim. According to wise scholars, Muhammad had said that the very essence of worship and supplication lies in Daily Duas In English. The Almighty Allah has also commanded the Muslims to remember Him. And call out to Him in the Quran, surah 40 (Ghafir), ayah 60. Keeping this in mind, this course wholly centered on letting every student understand the daily Duas in English. And encourage them to memorize it so that they can recite it wholeheartedly. Being religious and being content with Allah’s decree are two different things. But every religious man can slowly learn to pleased with Allah’s will, and that is only possible using daily duas and supplications. There are many Duas in the Holy Quran for every purpose and action. For instance all duas in a list, dua for entering the Masjid, dua for coming out from Masjid. Dua for waking up, for going to bed, dua that recited after sneezing, dua for sehri, dua for iftar, dua for virtuous children, dua for dressing, dua for safety, dua for beginning a journey, dua for eating meal, dua for entering the house, dua that is recited after eating meal, dua for departing from the home and so on. Since there are many, it is not possible for most people to memorize them without knowing their meanings or translations. 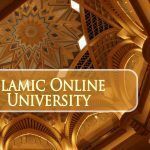 This course teaches each Dua with its English translation, which is also the language of instruction. The certified and well-trained tutors connect with the students online via Skype and this virtual connection also encourages them to ask questions. 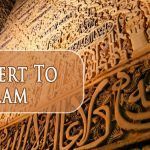 In addition to simple English translations, the course also includes basics such as when a worshipper must pray and recite these and how he or she should go about it. The Daily Duas in English helps the student grasp the wisdom behind putting the Salat before the Duas in some cases. In essence, the Salat is put before the Duas in some cases. Because the istikhaarah intended to combine the goodness of this world with the virtues of the other world. Prayer is the most effective tool for knocking on Allah’s door and winning His benevolence. Duas contain glorification and praise of Allah, and one can only know this after taking up this course. This Islamic duas for success course is open for all who wish to recite the Suas m memory and wholeheartedly. The primary requirement is that the student must be comfortable with English as the language of instruction even though our tutors are comfortable in Urdu, Arabic and other foreign languages. Prior knowledge of Arabic is not required, but it is better for you if you are familiar with Quranic Arabic too.